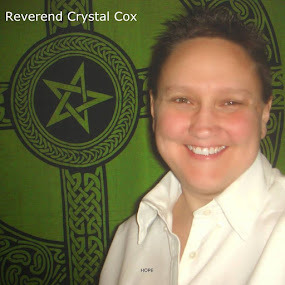 Reverend Crystal Cox, New Earth Ministry; Professional Psychic: "a three-dimensional image that changes over time. However, if the brain is actually working in 11 dimensions, looking at a 3D functional MRI and saying that it explains brain activity would be like looking at the shadow of a head of a pin and saying that it explains the entire universe, plus a multitude of other dimensions." "a three-dimensional image that changes over time. However, if the brain is actually working in 11 dimensions, looking at a 3D functional MRI and saying that it explains brain activity would be like looking at the shadow of a head of a pin and saying that it explains the entire universe, plus a multitude of other dimensions." "New research suggests that the human brain is almost beyond comprehension because it doesn’t process the world in two dimensions or even three. No, the human brain understands the visual world in up to 11 different dimensions. The astonishing discovery helps explain why even cutting-edge technologies like functional MRIs have such a hard time explaining what is going on inside our noggins. In a functional MRI, brain activity is monitored and represented as a three-dimensional image that changes over time. However, if the brain is actually working in 11 dimensions, looking at a 3D functional MRI and saying that it explains brain activity would be like looking at the shadow of a head of a pin and saying that it explains the entire universe, plus a multitude of other dimensions. The team of scientists led by a group from Scientists at the École Polytechnique Fédérale de Lausanne in Switzerland detected the previously unknown complexities of the brain while working on the Blue Brain Project. The project’s goal is to create a biologically accurate recreation of the human brain. During their research, the scientists created simulations of the brain and applied an advanced form of mathematics, called algebraic topology, to their computer-generated models. What Hess and her colleagues found was that the brain processes visual information by creating multi-dimensional neurological structures, called cliques, which disintegrate the instant they are understood, according to Newsweek who first reported on the research that was published in the journal Frontiers in Computational Neuroscience. The cliques have up to 11 different dimensions and form in holes of space, called cavities. Once the brain understands the visual information, both the clique and cavity disappear. “The appearance of high-dimensional cavities when the brain is processing information means that the neurons in the network react to stimuli in an extremely organized manner,” said researcher Ran Levi. Henry Markram, director of Blue Brain Project, explained just how momentous a discovery the multi-dimensional structures could be. “The mathematics usually applied to study networks cannot detect the high-dimensional structures and spaces that we now see clearly,” he said.